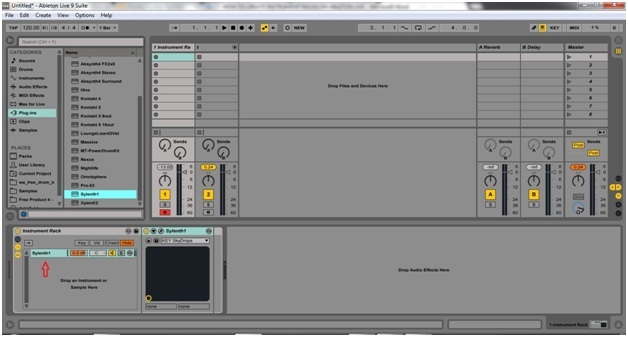 Today we are going to learn how to create an instrument rack. Racks are some of the coolest Live’s features because it’s possible to combine multiple sources of instruments, drums and effects and build a unique sound. 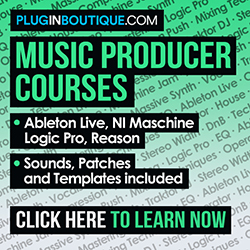 The concept is to use more than one source, whether it is a Live’s instrument or a plugin VSTi, and allocate them in a rack. The set, now linked as a parallel chain, will then act as a single instrument. You can configure how each source will work inside the rack and then assign parameters to your preferred controller(s). The creating possibilities are infinite. The method is simple and highly intuitive – which are Live’s most peculiarities! 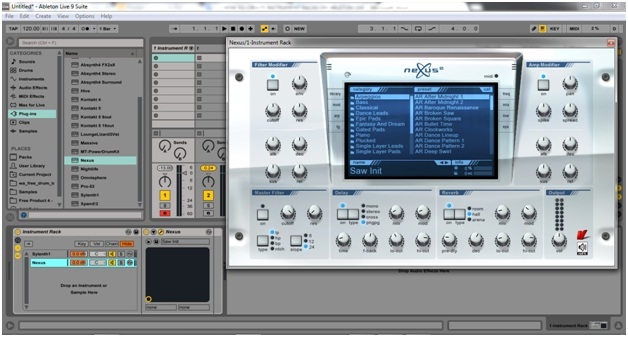 Notice that Nexus loads in a slot below Sylenth. However, you can freely change the instrument’s disposal in the chain. 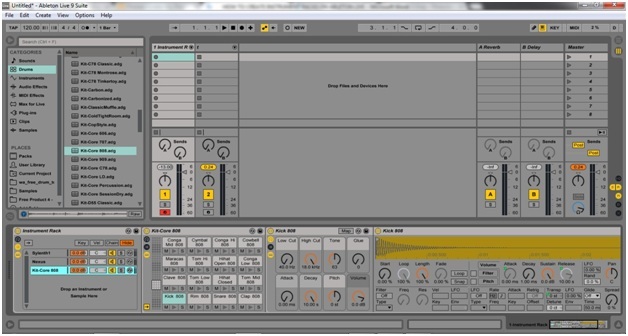 Observe that the ‘Kit Core 808’ in the picture is a drum rack. So, yes, it’s possible to load a rack inside another one! The “Key” button (above) will open the key zone editor to the right. The green horizontal lines will define the key zones (octave range) of each instrument. 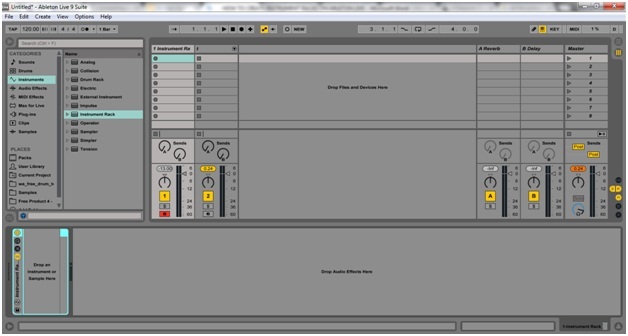 You can then configure whether you want the sources to sound together, as a layer, or in a split mode. 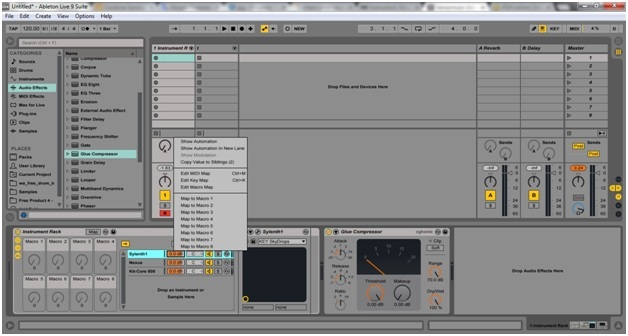 The “Vel” button (above) opens the velocity zone editor, and you can define whether an instrument will sound or not, depending on the velocity value. Notice that I assigned the Sylenth patch to be heard just in a velocity above 64 and the Nexus to play when the velocity is below 64. It means that in this tutorial both sounds won’t play together. If you want your instruments to play as a layer, you have to set equal velocity values to the instruments. The Kit 808 is unaltered, that is, velocity won’t affect the way that the drum kit will sound. The “chain” button (above) opens the chain select editor. With this feature, you can combine the various instruments of a chain list to sound together or not, as “preset banks”. You can then assign a number from 0 to 127 to save each preset. In the example, I set all of the instruments to play together, which means I decided not to create preset banks. The chain list also has volume, pan, mute and solo functions, so you can set the parameters individually. And then assign macros to a midi controller. Notice that audio effects are placed outside the instrument rack, in a serial flow. You won’t be able to assign macros to whatever is outside of a rack, but you can assign some effect parameters to your midi controller. That’s it! 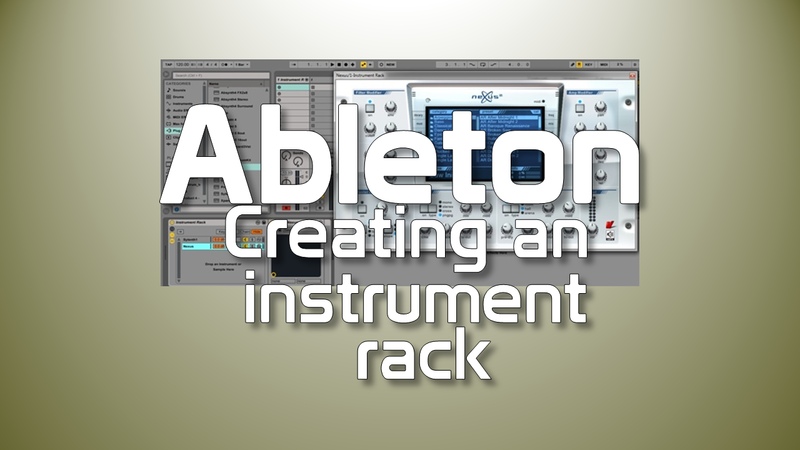 Working with instrument racks is an exciting way of building inspiring sounds.